A Public Service Announcement, or PSA, provides an opportunity for carrying the message to a wider audience in the mass media such as television, radio and newsprint. We will focus on television and radio PSAs in this section of site. In the future we plan to add content concerning newsprint PSAs. As of 2006 the NAWS website makes these video PSAs available in a variety of computer video formats for downloading. The files can be downloaded at the na.org website. 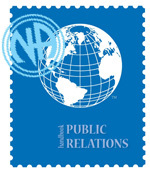 As of 2012, there are regional committees that have generated their own PSAs for television primarily due to the fact the NA World Services has not produced any new PSAs since 1986. We know of the Michigan Region and the South African Region creating their own PSAs, which can be found on YouTube (March 2, 2012). Check the Video PSA page and the Radio PSA page for more information on these types of public service announcements by using the hyperlinks below.